Oak Park Early Learning Academy is a new unlicensed registered childcare ministry that provides quality childcare services to Richmond, Indiana. Oak Park Early Learning Academy will provide a fun, nurturing and secure environment that builds every child's emotional, social, cognitive and physical skills, preparing them with the skills needed for long-term success in school and in life. Our mission statement is to infuse within children a lifetime love of learning, guiding them to both value and take responsibility for their own education. The foundational years of infancy through preschool are critical in shaping children's future as successful citizens in today's world. Likewise, Oak Park Church's mission to strengthen the Richmond community will be extended by positively impacting the social, emotional and moral development of children. Download job applications below, and call today (765-488-2626) to schedule an interview. Our classroom teachers have direct responsibility for the operation of the Infant, Toddler, Preschool, and Before-/After-School programs. Demonstrates compliance with the Office of Early Childhood and Out-of-School Learning, Family and Social Services Administration registered childcare ministry requirements. Demonstrates an understanding of infant, toddler and preschool growth development and applies this knowledge to practice. Develops weekly developmentally appropriate lesson plans that align to the Indiana Department of Education's Foundations, and include whole class, small group and one-on-one learning opportunities across all domains. Records and reports the necessary data to track and monitor each infant, toddler, and preschooler’s developmental progress and daily activities. Works cooperatively with parents and identifies resources to coordinate goals and activities that meet the plans set for children. Assists/participates during mealtime activities; assists and provides nutritional education. Demonstrates and develops daily spiritual lessons as pertaining to moral and character development. Attends parent meetings, as assigned by the center supervisor, assisting with the planning and implementation of the meeting and any other related parent activities. Establish a positive relationship with each child’s family. Develop a positive relationship with each child and promote the develop of self-esteem and self-discipline. Completes light housekeeping and sterilization duties within assigned classroom on a daily basis. Able to lift up to 30 pounds. Demonstrated experience with infants, toddlers, preschoolers, or school aged children. Must be able to communicate effectively in English in both verbal and written format. Current Child Development Associate (CDA) Credential, Associate Degree or Higher in Early Childhood Education/Development with an emphasis in Infant/Toddler studies. 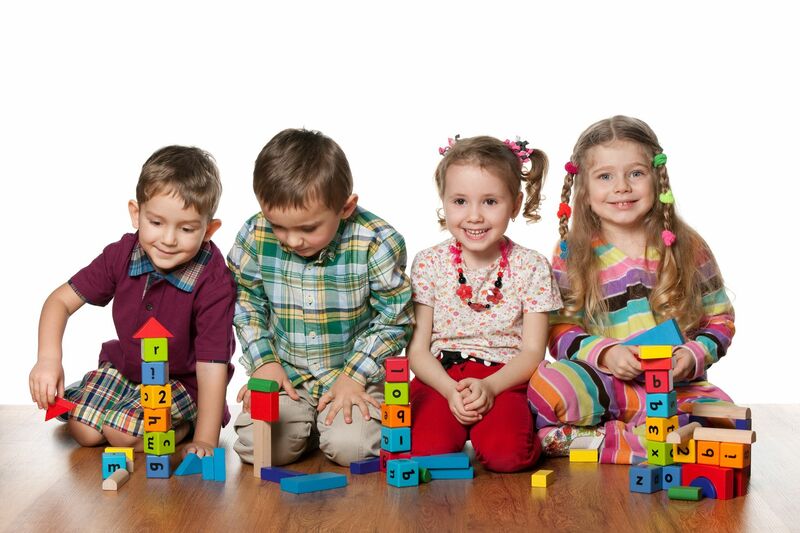 Experience in an infant, toddler, preschool and/or school age childcare program. Training within this past year in Universal Precautions, Safe Sleeping Practices, and Child Abuse & Neglect Detection & Prevention. Current First Aid and Infant, Child & Adult CPR. Bilingual proficiency and/or experience working with multicultural setting preferred. Must be willing to submit to a pre-employment drug screening, health exam, tuberculosis screening test, background and fingerprinting checks. This position will be responsible for assisting the Lead Teacher in developing and implementing a program of activities that promotes the social, emotional, cognitive and physical development of each child enrolled in a group. The duties and responsibilities will be carried out under the direction of the Lead Teacher. Demonstrate experience and interest in working with young children, parents and volunteers. Demonstrate a strong knowledge of appropriate practices in early childhood development. Must demonstrate success in working as a team member. Must have effective and strong communication skills (orally and written). Must be willing to obtain Child Development Associate Credential or Associate of Arts Degree: Early Childhood Development. Our Program Assistant will assume clerical duties for key programs within our child care ministry, including our food program, child care voucher program, and education program. This position will report directly to the Director. Completing monthly and quarterly forms and reports; reviewing projected annual budget regularly; filing monthly claims; creating monthly meal and snack menus; overseeing food service; overseeing relationship with lunch vendor; grocery shopping. Complete weekly reviews of all participants accounts; complete all necessary paperwork; point-of-contact for all families and participants. Receiving/reviewing weekly lesson plans; maintaining classroom spending budget; completing weekly classroom quality reviews and weekly teacher evaluations; posting highlights of our education program on Facebook; posting weekly themes and activities on website; transporting school age children to/from school; overseeing teacher staffing, vacation requests, and substitute teachers. The Program Assistant may be required to fill a teacher’s position, if need arises. Communication skills: Exceptional handwriting and spelling; able to read and interpret documents, such as regulations, policies and procedures, form filing instructions. Ability to write reports and correspondence. Ability to establish and maintain effective work relationships with coworkers, parents and children, regulation consultants, education specialists and public. Mathematical skills: Ability to complete all basic math computations, using whole numbers, decimals and fractions. Ability to compute averages, percentages, and volumes. Ability to generate performance reports. Other: Authorization to drive a motor vehicle to transport children to/from school and/or field trips. Continuing Education: Must obtain Child Development Credential (CDA); CPR/First Aid and Universal Precautions; maintain 20 continuing education units annually. Our substitute teachers have direct responsibility for the operation of the Infant, Toddler, Preschool, and Before-/After-School programs. Able to follow regular classroom teacher's weekly developmentally appropriate lesson plans that align to the Indiana Department of Education's Foundations, and include whole class, small group and one-on-one learning opportunities across all domains. Demonstrates and follows regular classroom teacher's daily spiritual lessons as pertaining to moral and character development. Experience in infant, toddler, preschooler, or school aged children's program. Current or working towards Child Development Associate (CDA) Credential, Associate Degree or Higher in Early Childhood Education/Development with an emphasis in Infant/Toddler studies.